Likewise, his unflinching support of Irish republicans’ aspiration for a united Ireland, is another association routinely thrown at him. So in recent weeks he has refused to condemn the Provisional IRA in a BBC interview and even been criticised for sharing a coffee with Deputy First Minister of Northern Ireland, Martin McGuinness and Sinn Fein President Gerry Adams. Two factors are pertinent here. First, was Corbyn’s support for Sinn Fein and engagement with Irish issues legitimate or not and, secondly, did it serve any useful purpose? …it was entirely legitimate for Corbyn and others, take an interest in the pressing affairs of Northern Ireland, especially as we now know that Margaret Thatcher’s government was engaged in secret talks with the IRA from the time of the Hunger Strikes. The problem is that Westminster has traditionally paid scant regard to events in Northern Ireland. It was, for too long, the British state’s dirty little secret. It was legitimate, too, for Corbyn and others to have a point of view about events there. Northern Ireland is a zero-sum issue. When it boils down to it, you are either in favour of the maintenance of the union with Northern Ireland, or you favour Irish unity. It really is as straightforward as that. Indeed, Corbyn’s position was, and perhaps still is, common enough around the party and in line with Labour’s official policy at the time of “unity by consent”. Turning to the second question: has Corbyn’s interest in Northern Irish affairs done any good? With the benefit of historical perspective, the answer is, yes, it probably has. Back in 1981, following the Hunger Strikes when ten republican prisoners starved to death over their contention that there were political prisoners, not ordinary criminals, Sinn Fein tentatively embarked on a strategy which would eventually bloom into the peace process. Engagement of the kind offered by Corbyn and many others on Labour’s left during the 1980s spurred on those in Sinn Fein who wanted to go down the political route. Like many on the left, Corbyn saw Ireland as a classic struggle for national self-determination against colonial rule. But he was by no means alone. 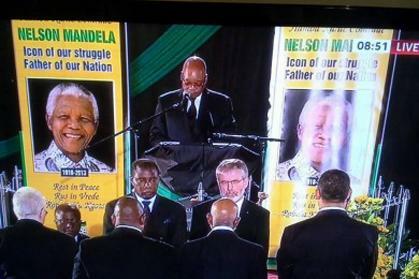 Nelson Mandela may be the safest of safe options for any politician responding to the question “who do you most admire in politics,” but he was also a strong supporter of Irish republicanism. Indeed the close ties between Sinn Féin and the ANC, and more pertinently between the (Provisional) Irish Republican Army and Umkhonto we Sizwe, date back to the era when the UK’s views on apartheid and White minority rule were ambiguous at best, disingenuous at worse. If the Irish and South African insurgents saw parallels between their anti-colonial conflicts – and acted upon them – so too did the governments in London and Pretoria. After all, only Britain’s chattering classes could dismiss Nelson Mandela as a “Black Provo“, while Margaret Thatcher and her “Hang Mandela” Conservative Party seemed at times to be the principal apologists for apartheid in the capitals of Europe and beyond. Though in fairness, one supposes that a bit of political quid pro quo was the least the British could offer when they were using the services of the Whites-only government in South Africa to arm their terror factions in Ireland.